EASTER IS COMING! and being a working mom of 2, amazon has always been my best friend. so what’s better than having you easter basket shipped right to you?! this adorable little xylophone bus is perfect for busy babies - i have a feeling finn will love it too! bee is too little for the peeps shown here (they are just for decoration!) but she can enjoy a sweet treat with her favorite flavor of peter rabbit organics pouches with a pouch backflow topper. 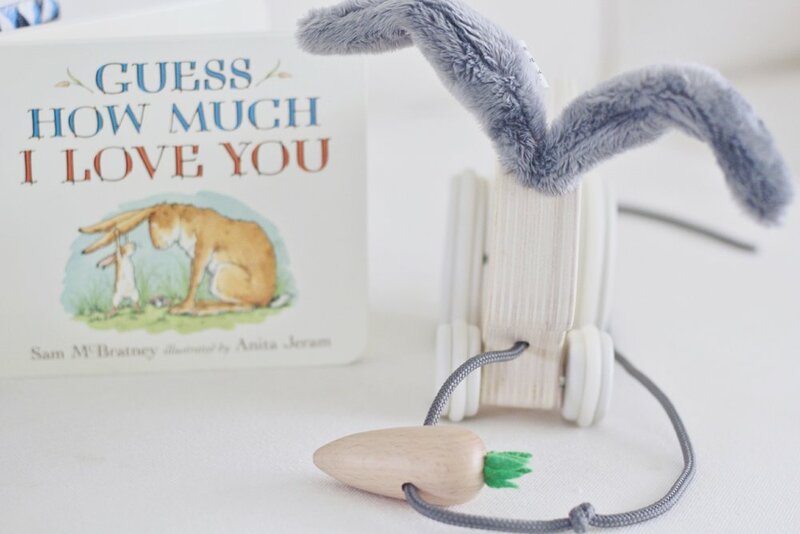 this little rabbit rattle is perfect for grabby hands and will keep her entertained on flights or on the go. and who could pass up this sweet little bunny sippy!? this book is a bedtime favorite, and this pull toy will be in good use in a few weeks when she is walking! are you kids puzzle fans? these matching shape easter eggs make learning fun! the dino eggs will be a finn favorite! the dino fold up inside the eggs for a surprise. blue bunny sippy for finn. 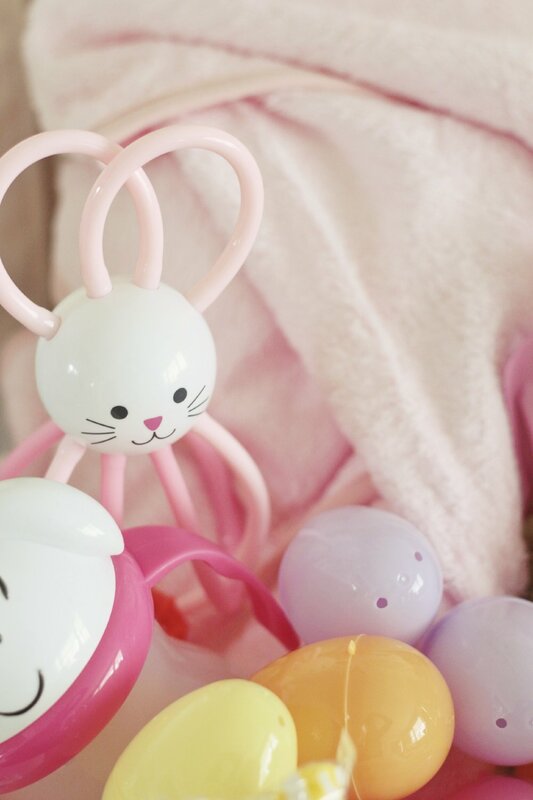 these bunny jammies are everything!